Funny people see things so differently. I think it's fantastic looking. C21 finally. I like the look a lot. Not a fan of some of the colour combos there but yeah, I like. Looks like an MSI underneath, but traces look like Asus. Yup, I agree... These look like the Sabertooth motherboards that ASUS released back in 2013-2015 lol. Looks way to plasticy for $299. Only thing I can think of positivity wise, is that the black one, would fit rather nicely with a blacked out/stealth system. 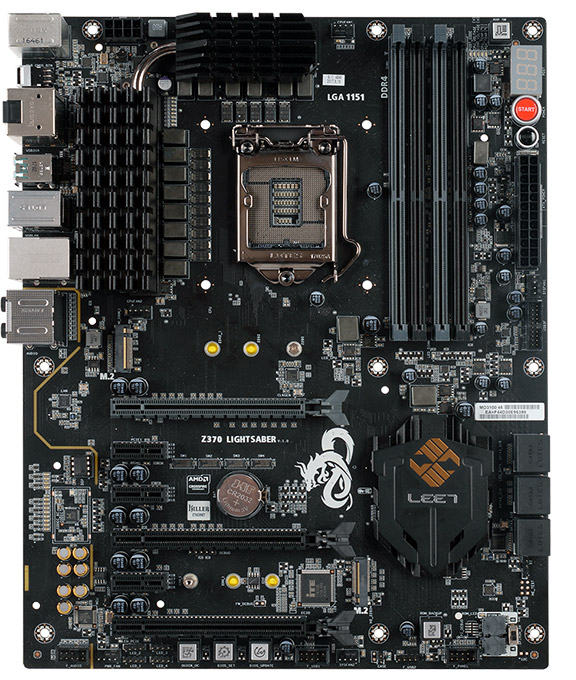 Does have a more than a passing resemblance to ECS' Z370 Lightsaber, albeit that board has less features. So chances are it'll be a rodded ECS motherboard. Sadly if it ECS, there isn't going to be an AMD equivalent as they don't currently have anything greater than a B350 in their lineup..